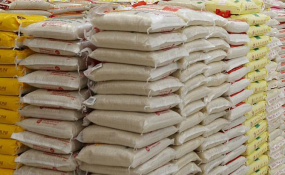 Can Nigeria Cease Rice Importation in 2018? As part of its focus on taking business-driven agriculture to the grassroots, the Nigeria Incentive-Based Risk Sharing System for Agriculture, NIRSA, is deploying an innovative nation-wide field structure to support 225,000 farmers under the CBN Anchor Borrowers Scheme. The structure, known as the Project Monitoring Reporting and Remediation Office, PMRO, has units located in each state and the federal capital. The PMROs are designed to support NIRSAL's core mandate of making agriculture more attractive for private sector investment by de-risking the agricultural value chain. Among other functions, they will provide rigorous monitoring and supervision of NIRSAL facilitated agriculture projects to improve successful outcomes. NIRSAL, which the Central Bank appointed an implementation partner in the Anchor Borrowers Programme, is deploying the PMROs to support an initial number of about 225,000 farmers throughout the country under the programme. The 225,000 farmers being supported include a minimum of 5,000 farmers in 37 locations - 36 states and the Federal Capital Territory. Speaking on the development, Managing Director/CEO of NIRSAL, Aliyu Abdulhameed, explained that the PMROs will play an important supportive role because NIRSAL runs a lean operation at its corporate HQs. In his words: "The PMRO structure is very critical to our operations. Agriculture is a field business. They would act as our eyes to ensure that agricultural projects that we facilitate finance for are executed in line with agreed terms and also serve to extend the reach of our interventions." He added that the PMROs will also have the responsibility of capturing the impact of NIRSAL's interventions on communities, individual farmers and other players along the agricultural value chain. "The positive impact made is the justification for our existence so it's critical to constantly measure and review the impact of our interventions." The function of the PMRO office in each state is to generate new projects where necessary, supervise existing ones and mobilise the community to support and own as well as enjoy the positive impact of NIRSAL projects. In line with NIRSAL's focus on business-driven agriculture, the PMROs are led by highly experienced private sector professionals and will deploy private-sector orientation and strategies to drive the projects along agribusiness lines. They will also assist the banks to properly package those projects so that they become bankable. As a Business Development unit, the PMROs will also work to make sure that there are sufficient projects in each state to be funded by NIRSAL. This will be achieved by developing the capacity of those projects in line with the targets of the project, best practice and the specifications of the banks. Steve Ogidan, the National Coordinating Consultant overseeing the PMRO structure believes that "the closeness of the PMROs to project sites and the embedding of project monitoring services within the project sites of any project that is more than 500M ensures effective monitoring and reduces the risk of loan diversion." The PMRO structure is an innovative and practical measure designed to build private sector confidence in agribusiness. Because of its closeness to projects, it will help to stop diversion of agricultural loans by farmers to other projects, ensure farmers are supported to use best farming methods/techniques. This will increase productivity, success rate and profitability of agricultural projects and in the process reduce the perception of the sector as high risk by financial institutions.